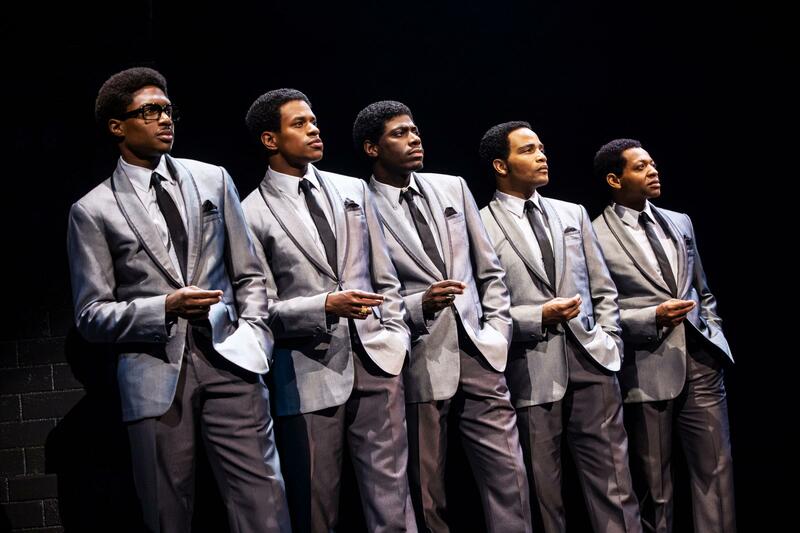 The trajectory of the longtime singing group The Temptations is the theme of the new Broadway jukebox musical "Ain't Too Proud." Hear Critic Howard Shapiro's review of the new musical this week on In a Broadway Minute, Friday (4/5) at 8 am and Saturday (4/6) at 10 am. From left: Ephraim Sykes, Jeremy Pope, Jawan M. Jackson, James Harkness and Derrick Baskin in "Ain't Too Proud."